Stitched Elephant Bank. 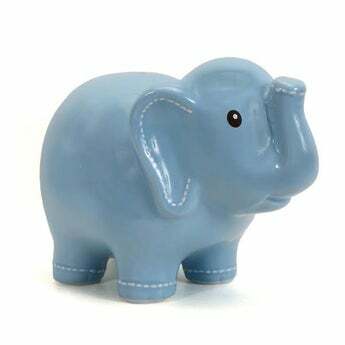 This item is pre-painted with the design glazed into the piggy bank. Changes within the design cannot be made. If the artist is requested to change the design the style will differ. This piggy bank is available in multiple colors. Please note that the bank will have white stitching. Measures 6x8"